It’s #EnglishWineWeek and what better way to celebrate a week dedicated to wine than heading out for the weekend with The Great British Wine Tours. Tours with this firm run every Thursday and Saturday and start with a pick-up from central Brighton (Jury’s hotel) at 9:30. Usually the day entails a visit to two local vineyards with a Ploughman’s lunch in between. Along the way you’ll get to visit the vineyards, talk to the wine makers about their wine, learn how it is made and how the growing of grapes has evolved in England plus, of course, you’ll get to taste several of the varieties produced by each of the vineyards visited, all in the environs of their beautiful wineries nestled in the Sussex countryside. 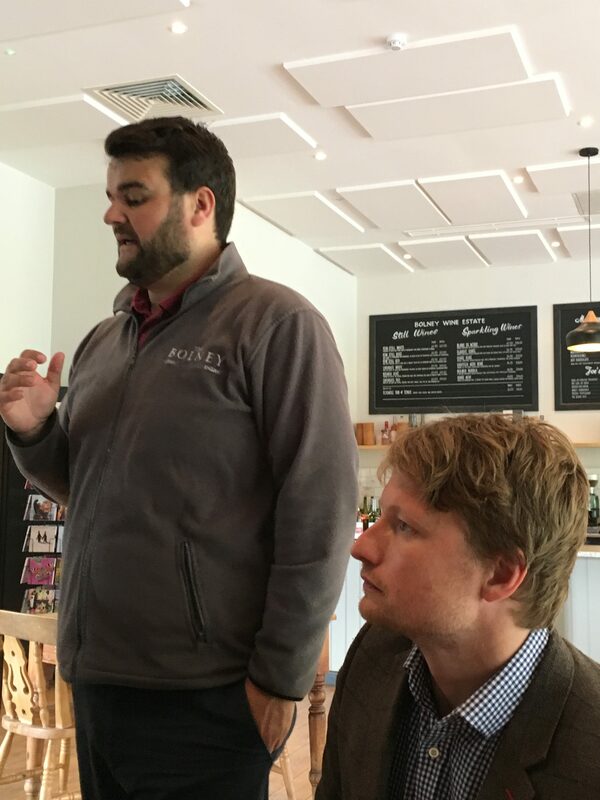 On our MD’s tour the vineyards visited were Bolney and Nutbourne and despite a variable weather day, the report has come back this tour is 100% recommended. 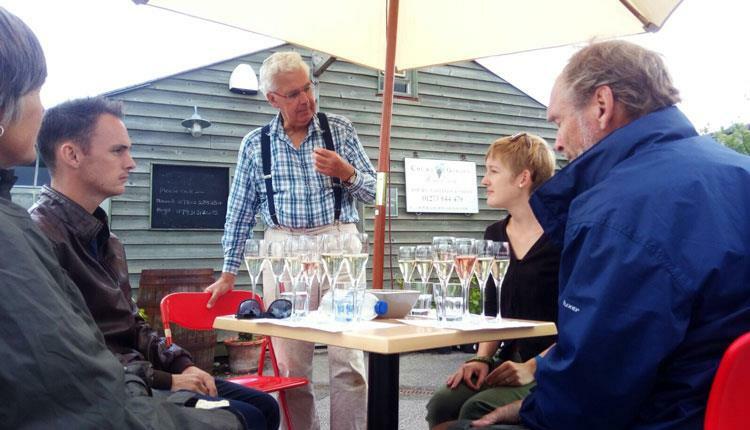 It was a great introduction to English wine and regardless of the weather, it’s a superb day out in the beautiful Sussex countryside sipping delicious wine and eating superb locally-produced food among knowledgeable and enthusiastic wine lovers – who could ask for more?! How can you get in the Spirit and be Involved? 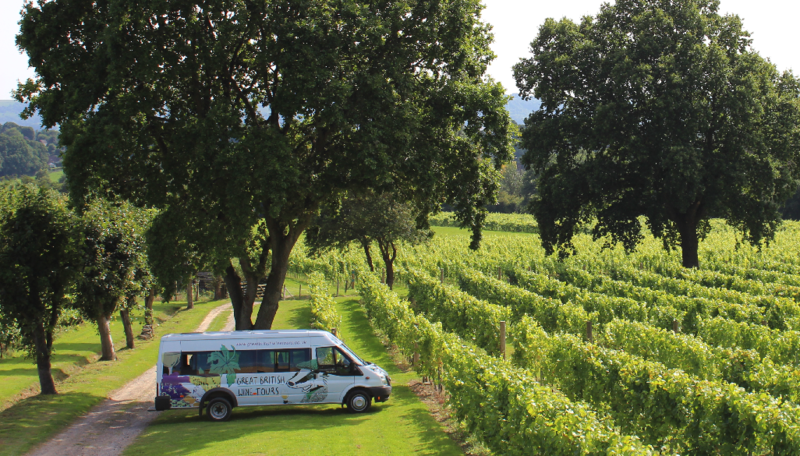 There are around 20 tours a month around this time of year, offering gorgeous views around the coastline & countryside with stops at vineyards such as Bolney, Nutbourne & Bluebell Vineyard Estates. On the tour taken by our MD, it may look a bit like Ed Sheeran came along for the tasting but it’s actually Danny Edwards, the passionate, hard-working and enthusiastic owner of Great British Wine Tours. Also in this photo is Charlie at Bolney Wine Estate, one of the most knowledgeable wine tour guides in the area. At Barrington we’re already planning our next wine tour – maybe a Team building day out? – we’ll need to start dropping hints with the MD so maybe see you there!